Coworking Week 2015 celebrates 10 years of coworking, collaboration, and the shared economy. The event will begin on August 3rd, and end on August 7th. Come cowork for free at each of these spaces on the designated day! In 2005 an independent worker in California conceived of a different way of working; he envisioned a place where independent workers could come together, collaborate and reap the rewards of community, increased productivity and creativity. That worker was Brad Neuberg. Approximately 5000 coworking spaces around the world will celebrate Neuberg’s vision as part of International Coworking Day. 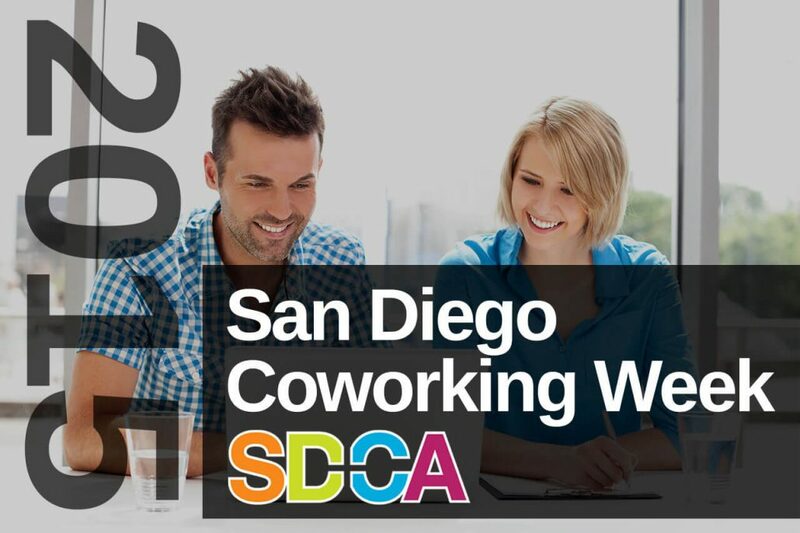 © Copyright - San Diego Coworking Alliance - 2019 All rights reserved. All materials on these pages are copyrighted by SDCA or the associated coworking spaces.